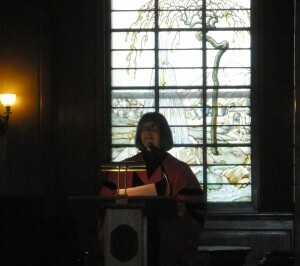 The Susan B. Anthony Institute congratulates all of our 2011 graduates, many of whom joined us yesterday for the Women’s Studies Diploma Ceremony. Despite the rain, it was a celebration to remember, filled with plenty of laughter – and maybe a few tears. Thank you to all of the students, families, and faculty who spent Sunday afternoon recognizing the accomplishments of the Class of 2011 with us. To those majors, minors and graduate students who are onto the next leg of your journey, please keep in touch with SBAI and share your future feats with us! 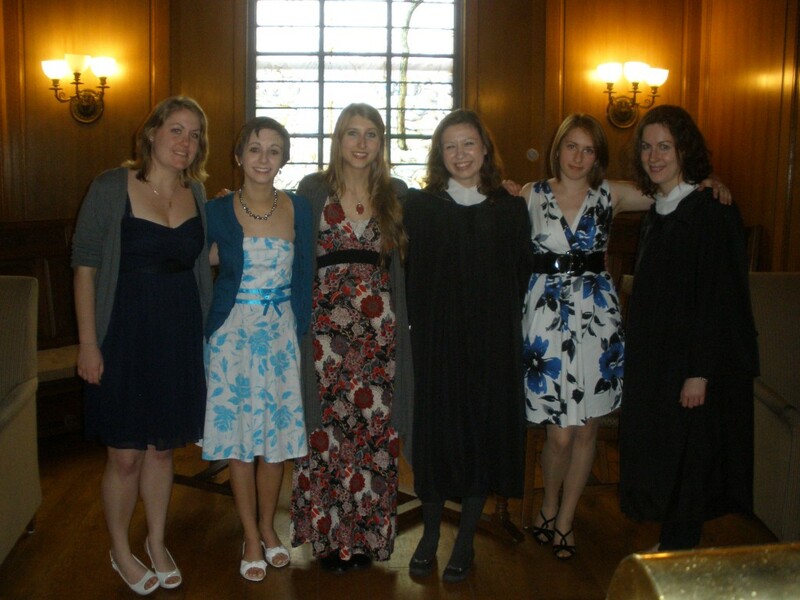 We not only have an alumnae mailing list, but are always thrilled to hear from alumni via email at sbai@rochester.edu. With our 25th Anniversary coming up next school year, we especially want to hear from those who had connections to SBAI in years past. As we plan for our 25th year, please check in here and on our events page for more on what’s to come, including a few big announcements this summer! 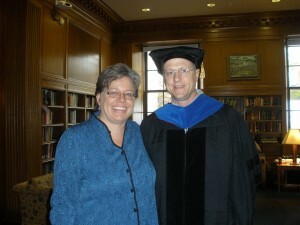 This entry was posted in UR Events and tagged #25th, #commencement. Bookmark the permalink.